Two days ago, the Voice of America published a report by investigative journalist Klodiana Lala of BIRN on wiretaps exposing the collusion between Mayor of Durrës Vangjush Dako and Avdyli gang to buy votes in the 2017 general elections. Here are the five facts we learned from the VOA/BIRN report. 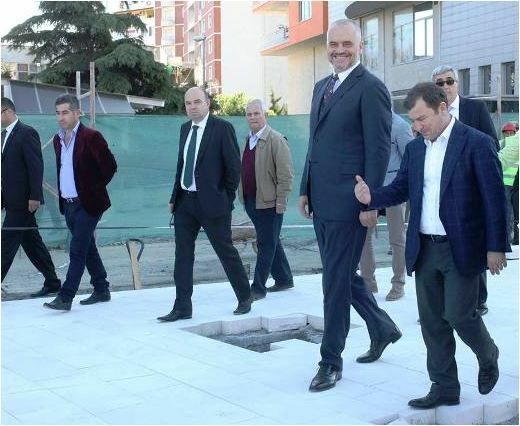 1— Vangjush Dako, one of Prime Minister Edi Rama’s closest wingmen and thrice mayor of Durrës, is close friends with Astrit Avdyli, a murderer convicted to 16 years in prison and released after suspicious medical exams diagnosing him with “suicidal tendency.” The mayor and Avdyli had conversations and lunches together. Members of the criminal gang led by Astrit Avdyli and his brother was arrested on October 21, 2018 under the pressure of the German government for trafficking cocaine from Albania to Germany. 2 — The members of the Avdyli gang engaged actively in rigging the elections through vote buying and threatening of voters. 3— Mayor Dako thanked the Avdylis for their contribution in winning the election by giving companies related to them them public work projects and construction permits. 4—The prosecution admitted there is an ongoing investigation into Mayor Vangjush Dako but it didn’t disclose the object of investigation. Not only is Mayor Dako free, but he also revealed to BIRN that the prosecution never questioned him. 5—Vangjush Dako is free and he continues to be a mayor. Moreover, the Prosecution has not demanded any arrests related to the wiretaps exposing the rigging of the election, or other criminal activities.